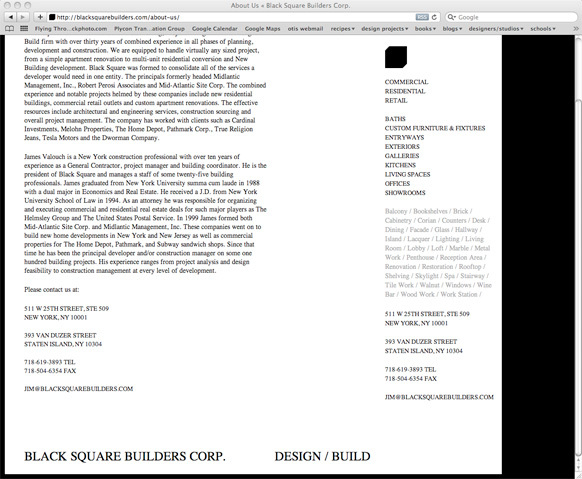 Website design for Black Square Builders in New York. 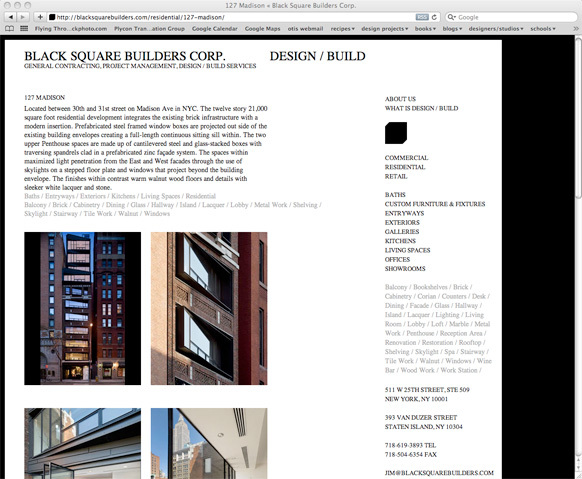 This design-build portfolio website is a customized WordPress site that allows the user to navigate projects by specific room or specialty item. 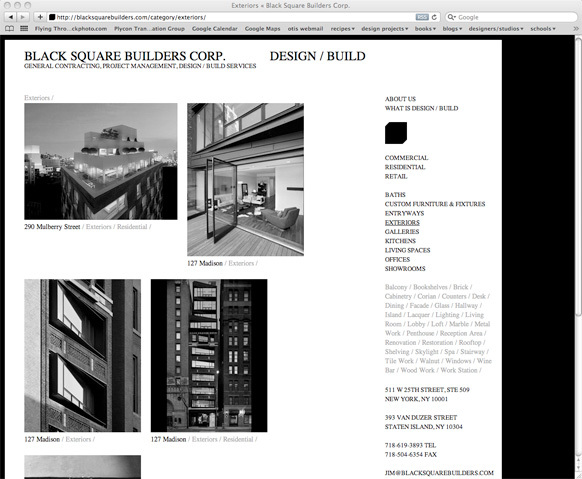 The client was interested in having a site that showcased details from individual projects rather than projects as a whole. Programming: Jonathan Dacuag.